After a gap of 44 years, the Olympic torch has arrived in Pakistan. From Muscat, it was brought to Islamabad on a chartered plane. 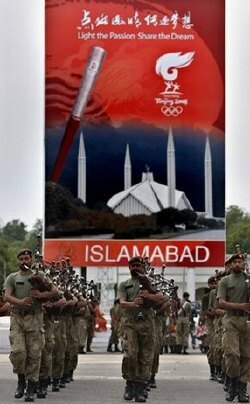 A torch relay alongwith fireworks are planned for tomorrow (wednesday) in Islamabad. So far, wherever the Beijing Olympics torch has gone, it has met protestors of pro-Tibet issue as well as demonstrators of pro-China stance. In Pakistan, strict security measures have been taken to stop any untoward incident. 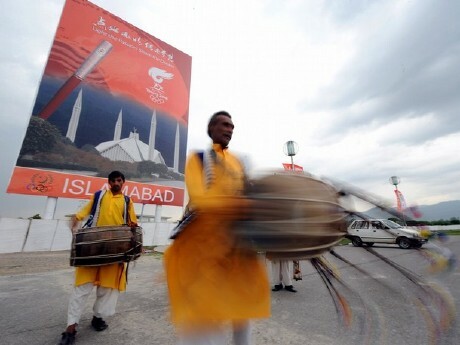 The President and the Prime Minister of the country will be present to watch the Torch Relay which will start in the afternoon from Jinnah Stadium, the main stadium in Pakistan Sports Complex, just across from Liaquat Gymnasium.Up to 66 people will carry the torch, one after the other, from the starting point to the Liaquat Gymnasium for the final functions which will culminate in the lighting of the cauldron. Prominent among the runners will be former world squash champion Jahangir Khan and celebrated hockey player Hassan Sardar who was the star of the Pakistan team that captured the Olympics gold medal at the 1984 Los Angeles Olympics. The Chinese Ambassador in Islamabad, Luo Zhaohui. will also carry the torch. From Pakistan, the torch will go to India. 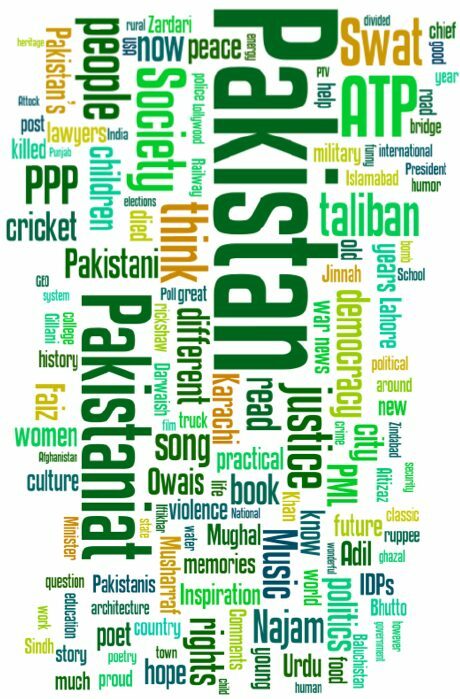 Metroblog Islamabad also carried a curtain raiser on this even and can be read here. Following photo is a collection 5 Olympic mascots of Beijing Olympics. First of all i will say thanks to My ALLAH who changed the managment of pakistan. if we will see the past we have a lot of medals like Hockey + squash etc…Why its happening ? We need to spend more on sports except cricket to be world champions. verysmart: Please understand that the people protesting China’s human rights record and the Olympics are not the same people who support the despicable acts done by the US/EU. We are in fact completely opposed to that kind of thing and do our best to oppose these type of actions by any country, including our own. Yes, I was at recent Olympic protests, but most of the ones I go to here in Toronto, Canada are at the US consulate. Even in the US, support for the Iraq war peaked at only about 60%, and that was when there was a lot of false information provided to the public by the Bush administration. ATP Quiz: Where in Pakistan is this, and What is it? Upset, or End of Pakistan Hockey?